A lung biopsy is a great way for doctors and medical professionals to determine the state of the lungs and any further treatment that your lungs may need. 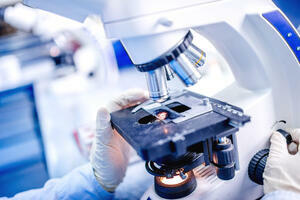 It removes a small amount of tissue and cells from the lungs to be examined under a microscope. Lung biopsies are done a handful of different ways depending on works best for you, such as open or closed method biopsy. An open method requires an operating room and general anesthesia in order to be performed, while closed method is done through the skin or trachea and does not require general anesthesia. Each type of lung biopsy has the same goal in mind, to remove a small piece of tissue to better analyze the lung health of the patient. 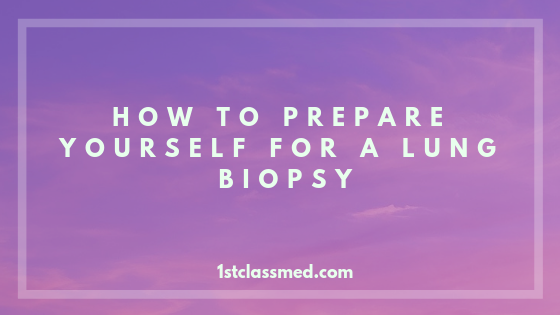 How the biopsy is done will depend on your health, your lungs and your doctor, as any of the three can play a role in why you get a specific type of biopsy. There are four main types of lung biopsies, a needle biopsy, transbronchial biopsy, thoracoscopic biopsy and an open biopsy. Local anesthetic is given in order to numb the area the doctor will be preforming the minor procedure on. There is a medical grade needle that is directed through the chest wall into an area that has caused concern. A CT (or CAT) scan or a fluoroscopy is used to help guide the needle to the right spot in the lung. On average, this procedure can last anywhere from 30 minutes to an hour. The individual will often be given a sedative to help remain calm, and painkillers as needed. Once the area of interest is numbed, a small incision is made, and the needle is inserted into the lung to grab a small sample of tissue. After the needle is removed, pressure is applied and then a bandage is placed on the site. Right after the biopsy, a chest x-ray is done to have an image of what was done. After the procedure the sample is sent to a lab and results will come back in a few days. A transbronchial biopsy takes less than a couple hours and is considered an outpatient procedure. It is often done in a surgery room or intensive care unit (ICU) which are both equipped to manage a respiratory emergency if one were to arise. In order to numb the area, an anesthetic is sprayed into the throat which may feel like liquid running down your throat. A sedative may also be given to keep you calm during the procedure. A flexible tube is inserted into the airways (via the nostrils or mouth) and into the lungs. There is no risk of suffocation, but you may feel a bit more out of breath than normal. A rigid bronchoscope is commonly used when there is a foreign object in the throat or airways but may be used for a biopsy if you are already needing another procedure as well. Commonly used for biopsies, a fiber-optic bronchoscope is a soft, flexible tube that is very skinny. At the end of the tube is a light and video camera to assist moving through the airways and lungs, and the tube is hollow to allow medical instruments (i.e. surgical scissors) to reach the lungs as well. Lung tissue samples and lung secretion samples may be taken to be analyzed at the lab. Once the procedure is done, you most likely will be taken for an x-ray in order to make sure there is no leaking from the lungs and everything looks normal. You will most likely be held until the numbing anesthetic wears off, and you are able to eat and drink again. Both transbrochial and needle biopsies have fast recovery times, but they can also take less tissue, which can cause an inaccurate diagnosis or require a second biopsy. Thoracoscopic (or video-assisted thoracoscopic surgery (VATS)) biopsies are another minimally invasive technique to look into the lungs. Unlike a transbronchial biopsy, a thoracoscopic biopsy is done through the chest walls to get into the lungs versus going through the airways. After being given general anesthesia, a small incision is made in the chest wall to insert the thoracoscope into the lungs. The patient is normally asleep for the duration of the surgery, which can last from one to two hours. You will also have a tube inserted down your throat to assist with breathing while you are under anesthesia. An open lung biopsy is a bit more invasive than other methods, as it requires a larger incision to be made. This biopsy method requires you to be put under general anesthesia, and a tube will be inserted down the throat to help with breathing. The incision is made on the side of the chest that needs to be tested and is normally between two ribs. The ribs are gently separated in order to reach the lungs and get a sample of tissue for testing. The surgeon who performed the surgery will then close the incision with stitches. Recovery from this method of biopsy will require a bit more recovery time, and a possible overnight stay in the hospital depending on how you are recovering. You may have a plastic tube in your chest after surgery to prevent any air or fluid from building up in the body. Open lung and thoracoscopy biopsies can get a larger number of cells and can be tested quickly. The result of these tests can help the surgeon determine if more samples are needed, or if the lung should be removed. Depending on what method of biopsy you require will also determine some of the pre-procedure steps you will need to take. You will most likely need to get a full exam as well as blood tests in order to determine if you are healthy enough to undergo the procedure. Your doctor will go over medications you cannot take before the procedure (such as aspirin) as they can affect blood clotting. You may also be told that you cannot eat or drink for a certain period of time before the procedure, normally the deadline is midnight. Depending on the method of biopsy that is preformed will determine what will happen afterwards. If you received a needle or transbronchial biopsy, you will get an x-ray and be sent home quickly after. If you received a thoracoscopic or open lung biopsy, you will get an x-ray but remain in the hospital or doctor’s office for a short period of time (longer if there were any complications). Over the next few days you may feel sore in the chest and airways, but that should subside within the following week. There may be some instructions your doctor gave you to clean your wound, and it is important to follow them closely to prevent infection. You should also make a point to avoid medications like aspirin, as it can increase your bleeding. Only take medications your doctor prescribed or gave the okay to take. Depending on the speed of the lab, you may get results back within a few days, or it can take up to a week to get the results back. Lung biopsies are done to help determine the condition of the lungs and to diagnose the cause of the lung damage. There are multiple methods to a lung biopsy, all of them are safe and can mostly be done as an outpatient procedure. Recovery after a lung biopsy is a short period of time, often only a few days of being sore after the procedure. 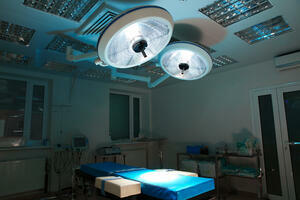 The result will be given to you shortly after the procedure, normally within a week. Your doctor will determine if a lung biopsy is something you may benefit from and then decide what method will work best for you.